Bigger trees are no problem with this 10" Lucas Mill. Boasting a massive 10" (254mm) cutting capacity, this machine will have no trouble tackling the most challenging timber projects. 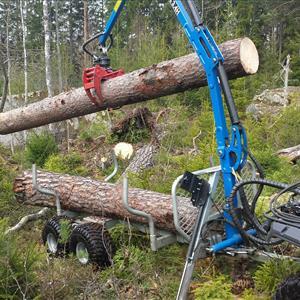 Aimed at large scale portable sawmilling applications, this machine is designed to handle cutting large dimension lumber. If your projects primarily involve cutting small dimension lumber, we recommend that you consider the other models in the Lucas range to minimize timber loss to kerf. A full range of optional attachments are also available to suit this model. So stop changing bandsaw blades and step up to a Lucas Portable Sawmill! Call and ask for a free video and brochure today.